Among all the retail gloom that the newspapers seem to like writing about, it was refreshing to read last week that Browns of York is to open a new department store in Gainsborough, with the creation of 24 jobs. 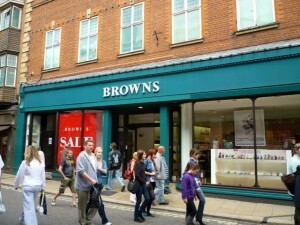 Trading since 1896, Browns is something of a York institution. 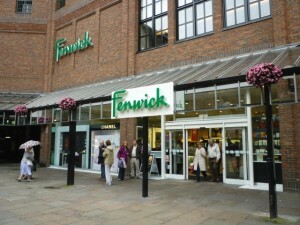 With both Debenhams and Fenwick (itself a family-owned chain) nearby, the city has no shortage of upmarket department stores. Browns, however, has continued to prosper by creating a distinctive experience that celebrates its heritage and independence while constantly moving with the times. In terms of their numbers, it’s fair to say that independent department stores have been in overall decline for many years – either vanishing from the high street entirely, or swallowed up by the big chains such as John Lewis, Debenhams, House of Fraser and Beales. Yet, in towns and cities across the country, there are still more independent department stores than you might think. The best of these, like Browns, have evolved to meet the needs of modern shoppers while capitalising on the long-held affection and brand loyalty that they garner at the heart of their respective high streets. So, as Browns celebrates its expansion, now seems like a good opportunity to celebrate, more generally, the successful independent department store. What follows, in no particular order and spread across several posts, are twelve of my favourites, gathered during my recent Woolies-spotting jaunts across the UK. It’s a subjective list, of course, and there are plenty more in other towns and cities that I haven’t been to yet. 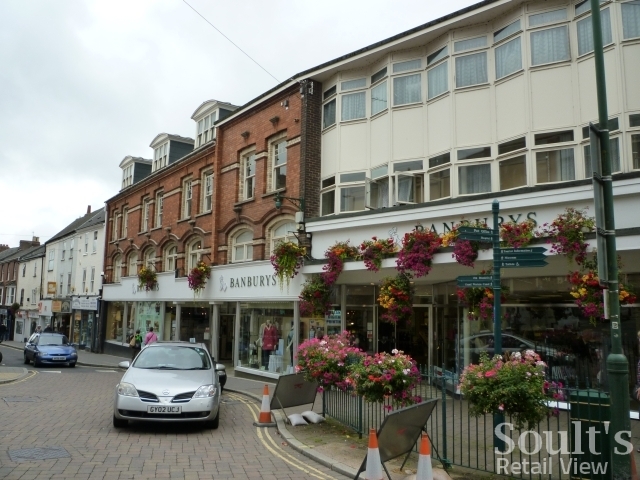 Perhaps there’s a gem of a department store in your own local town that you’d like to share with Soult’s Retail View readers? As always, the comments form below awaits and welcomes your contributions. Atkinsons is a remarkable survivor. Trading from The Moor since the 1870s, it is at the wrong end of town in a city that has both a Debenhams and a John Lewis, and that has recently suffered from the mothballing of its planned Sevenstone development – a scheme that will, when it finally happens, help knit Atkinsons more strongly into the present-day retail core. Nevertheless, the store has continued to invest and improve, most recently, in 2007, with a modern facelift to its Charter Row frontage. Inside, parts of the shop are a little old-fashioned, but its very charm is in being a proper, sprawling department store that stocks everything – from carpets to clothing and toiletries to toys. 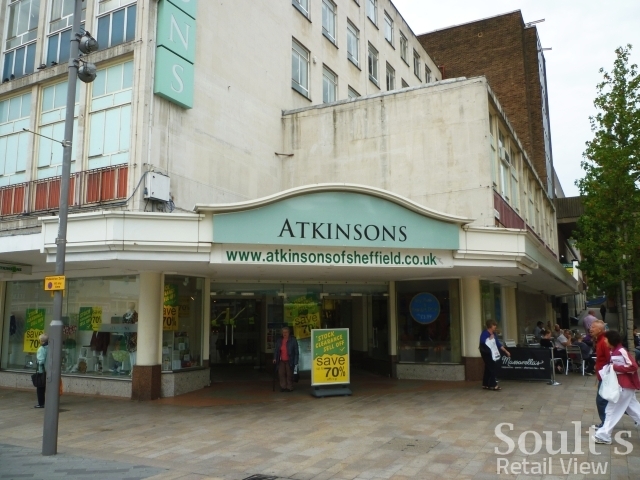 In a city centre dominated by chains, Atkinsons is a breath of fresh independent air that needs to be cherished. Though Barnstaple-based Banburys has only owned this store since 1989, a department store has traded from the site for over a century. Opened as Eastmond’s in 1900, it remained in the ownership of its founding family until its sale 23 years ago. 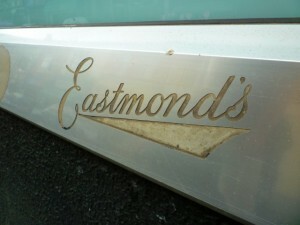 Happily, the Eastmond’s logos engraved in the shopfront provide a reminder of this heritage. Today, the 20,000 sq ft store’s attention to detail begins with the lovely hanging baskets on the frontage and continues throughout the well-appointed two-storey shop, including a superb kitchenware department on the ground floor. The store’s website is a little tired, and its social media presence is underdeveloped, but it’s hard to fault the instore experience: with great products, delightful staff, and its own loyalty card scheme, Banburys is doing the right things to keep customers coming back. 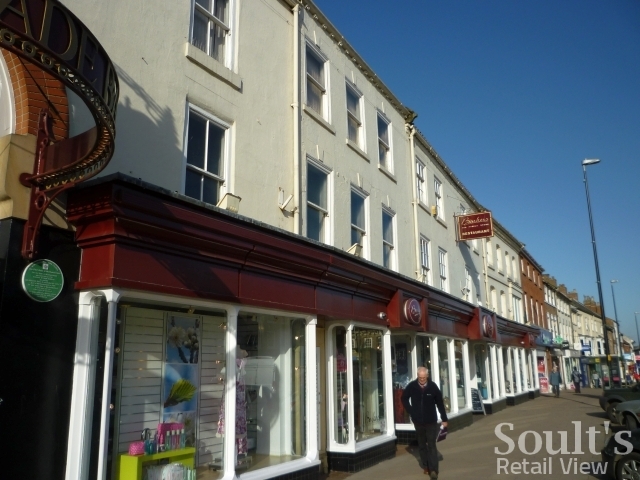 A fixture in the town since 1882, the thought of Northallerton without Barkers is inconceivable: it is, and always has been, at the very heart of the High Street. From its elegant frontage onwards, a sense of quality and longevity pervades the store, showcasing cosmetics, fashions and homewares within a generally bright and modern store environment. Crucially, Barkers’ continued success seems to be founded on its ability to stay fresh and relevant. On its website, the store recognises that “today’s world is about convenience and choice”, a point reflected in its opening, in 1994, of an additional 40,000 sq ft edge-of-town furniture store. Rather impressively, it has more recently entered the e-commerce world with a transactional website, and has a presence (albeit slightly newsfeedy) on both Twitter and Facebook. With its embrace of social media, and a store footprint that straddles the high street, out-of-town and online, Barkers seems well placed to be around for another 130 years. There is also Elphicks/Knights/Tudor Williams in Surrey and Elys/Morleys in South London too! Hankcock & Wood – Warrington – A Family Run Department Store which sells Womens Wear, lingerie, Childrens Wear, Gifts, sometimes Toys, Hoisery, Milnery, Shoes, Young Fashions, Hairdressers, Bridal and Has a good Cafe on the first floor. Warrington also has Waysiders A small store that sells china, glass, haberdashery and Kitchen wear. Although it’s upper floor has been closed for some time now. There is Tyrers in St Helens and Bratts in Northwich. Hartes in Blackpool – Trying to be a department store for many years, rather than a Christmas Shop. I don’t know how far they have got on that one. Hitchens in Morecambe – Similar to Above. JR Taylor Department Store in St Annes-on-Sea – A nice compact indie department store on 4 floors in St Annes Town Centre – has all the departments you would expect to find from any big store. Very Modern – Even had a sign that said “Nail Bar – For Hands that don’t do dishes…” haha. Next Door in Lytham there is JW Stringer – Again similar to JR Taylor but they have a full range Home Store near Booths. Daniels of Windsor, is a rare survivor. It is currently going through a major rebuild. The old high street side was demolished recently and new glass and steel monster is rising in it’s place. It has good homewares. The fashion is a bit musty and is all concessions. It does have a great tot section upstairs. Is that the same store that has (or had?) a branch in West Ealing, or am I thinking of something else? Jarrolds of Norwich is surely worth a mention – there is a truly wonderful department store. Bakers and Larners of Holt (Norfolk): http://www.bakersandlarners.co.uk/. The foodhall alone is splendid – checking the website, I see that they’ve added a branch of Intersport since I last visited. Living in a much larger town which hasn’t had a decent-sized independent sports retailer for over a decade (and which lost its town centre JJB Sports last year) I am now extremely envious. 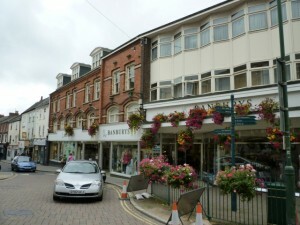 Their premises dominate Holt’s Market Place, and they have a Home Furnishing Centre further down the road. Can’t imagine Holt without them. Interestingly, they also run a chain of builders’ merchants and the local Budgens. Would have liked to suggest Williams & Griffin in Colchester, but since Fenwick have taken over it isn’t quite what it used to be (I can’t manage to pinpoint what’s missing – perhaps it’s just the replacement of the purple and gold colour scheme with much blander green and white).